It is hard to overstate just how reliable Bosch systems are - we almost never see anything go wrong, and when we do, Bosch's support is outstanding. Bosch only uses their own time tested, rock solid batteries and displays. Cutting edge features like sleek integrated batteries and clever displays are great but risky - innovative manufacturers can struggle because they don't have the same huge installed base as Bosch. Bosch takes their time to roll out new products, but when they do make innovations, they are best in class. Bosch's most powerful street motor is tuned for a dynamic sportier ride, vs the active line's daily rider & leisure emphasis, and is the motor system to have on a premium sporty eBike. Pushing 63 Nm and available in a 20mph and 28mph versions, its overall power delivery is 2nd place only to Performance CX, and on par with the Brose S drive, but with Bosch's bulletproof components and gold star reputation. There are two different displays, and a few different battery options, although these configurations are not a la carte or easily swappable. 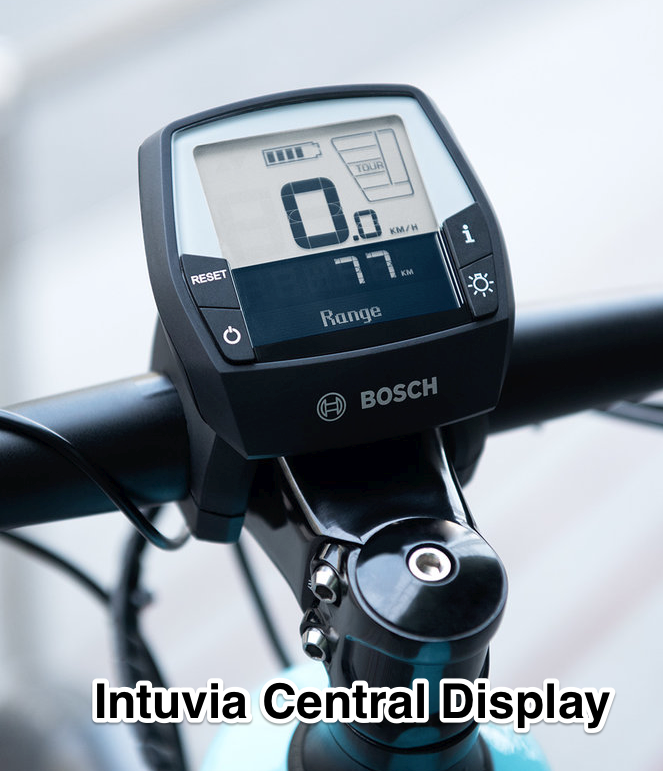 Intuvia is the most common display - a big, bright center console display that estimates your range based on how you have been using your battery, something veteran eBikers will tell you is a great feature. 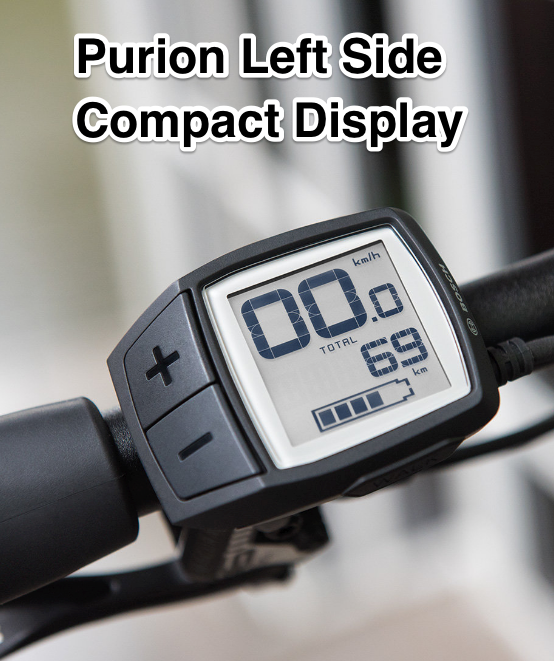 Purion is more minimalist and does not estimate range, but is left side mounted making it less dominant and vulnerable. Battery configurations are currently 400 watt hour, 500 watt hour, and dual 500 or 1000 watt hour, and either rack mounted or downtube. For mid 2018 powertube will be a integrated battery option.